Both the Alloy Elite and Alloy FPS Pro take the Alloy as a basis and go in two different directions. The Alloy Elite went slightly bigger, incorporating a media/keyboard feature panel and detachable wrist guard, which were both features I appreciated when I reviewed it back in July. The Alloy FPS Pro, released last week, went slightly smaller by taking a “tenkeyless” approach. 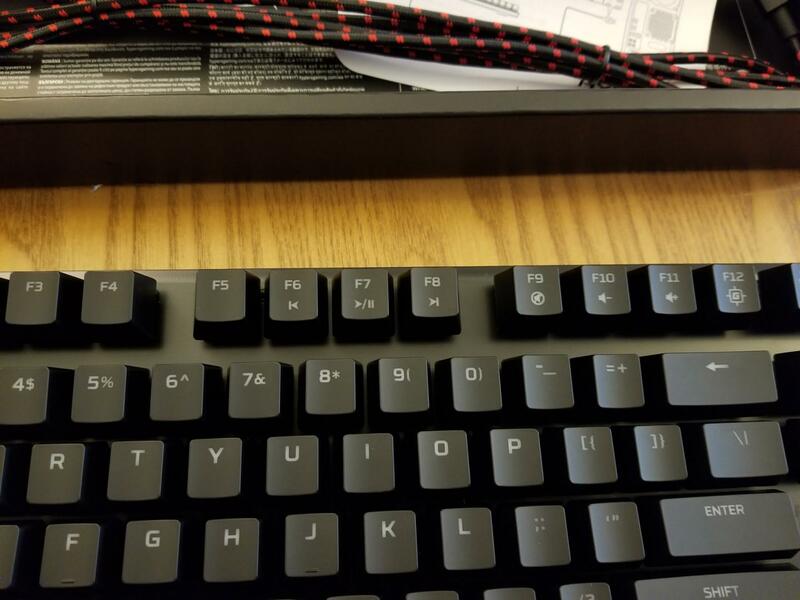 By ditching the Numpad, the keyboard becomes a much more compact affair, which is an attractive feature for FPS players who want additional desk space. In case you’re not familiar with any previous versions of the Alloy, let’s do a quick rundown of the FPS Pro’s features that it shares with its brethren. The FPS Pro has red backlighting with six LED modes (Solid, Breathing, Trigger, Explosion, Wave, and Custom) and five brightness levels. Users have the ability to control media effects (e.g. volume, pause/play, skip forward/backward, etc.) by using the function key and the F6 - F11 keys. It also has a “Gamer Mode” (toggled by hitting the function + F12 keys together), a handy feature that disables the Windows key. 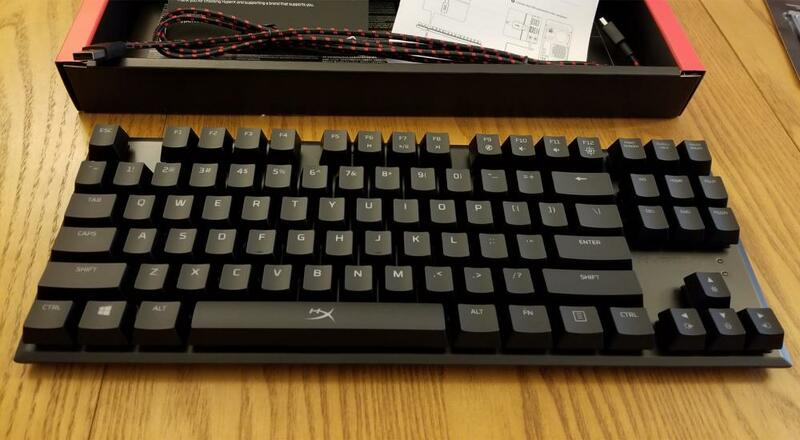 On the physical side of things, it has a solid steel frame and Cherry MX switches with the currently available version possessing Cherry Reds. Like all Alloy keyboards, it is plug-and-play with no required software, a direction that HyperX has been fully embracing in all their new peripherals.